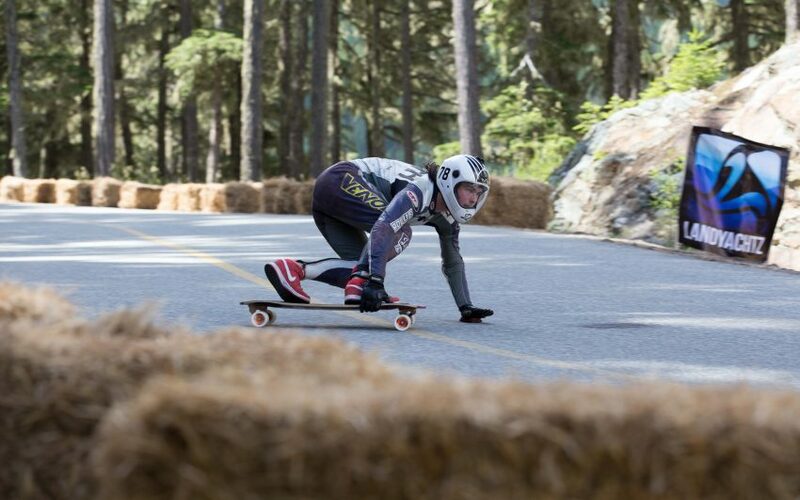 The conditions were perfect for qualifying at the 2nd day of the Whistler Longboard Festival. Racers had 6 timed runs to seed themselves into the final brackets (click on results). It is still early in the 2016 season with Whistler being the third world cup of the year. A win here can help boost a competitor in the title hunt before the European leg of the world cup tour. 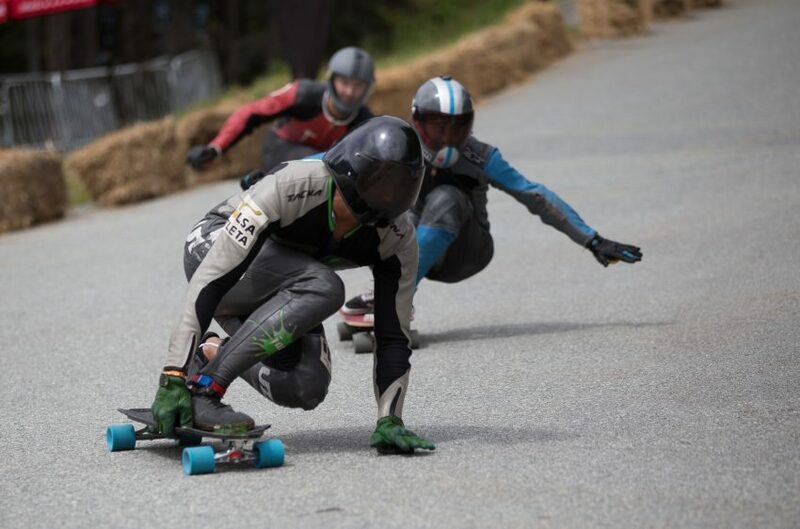 In Open Skateboarding 96 riders seeded themselves into the bracket. 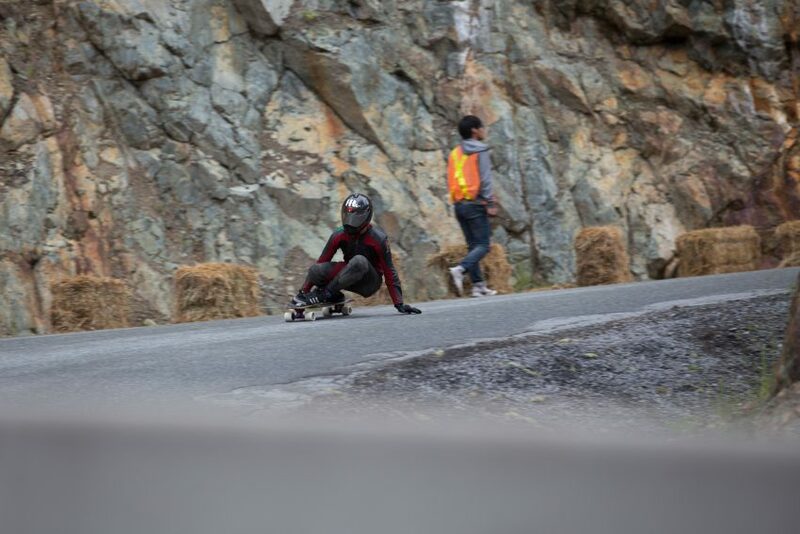 With consistent conditions and timed runs, riders had the opportunity to compare a variety of lines and equipment. Placements were constantly being shuffled as riders pushed harder each run. The top was the bracket was stacked with top contenders from around the world. The Brazilian contingent is strong with 4 riders in the top 10. 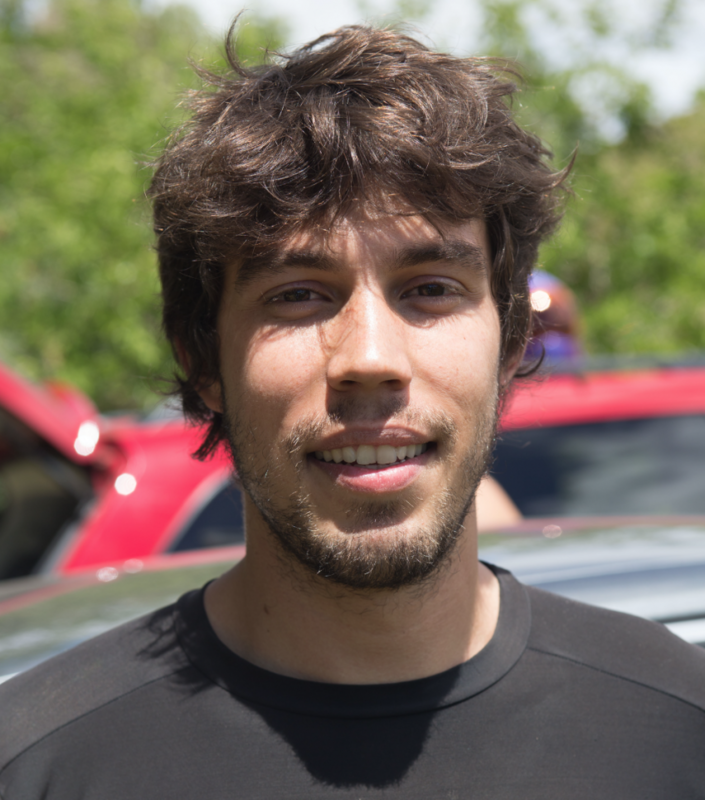 Thiago Gomes Lessa, was the top qualifier with a time of 1:46.281. Thiago is currently #2 in the world but without a win at a world cup this year. Defending World Champion, Carlos Paixão, took second just 0.311 seconds behind with a 1:46.592. Last year he crashed out in the finals. Expect him to be on a charge for victory tomorrow. In 3rd is Zak Maytum. He held the top of the leaderboard for the majority of the morning before the Brazilians upped the ante. Zak consistently put down the fastest laps throughout the course of qualifying. With a time of 1:46.598, you can be assured he will be up in the mix. 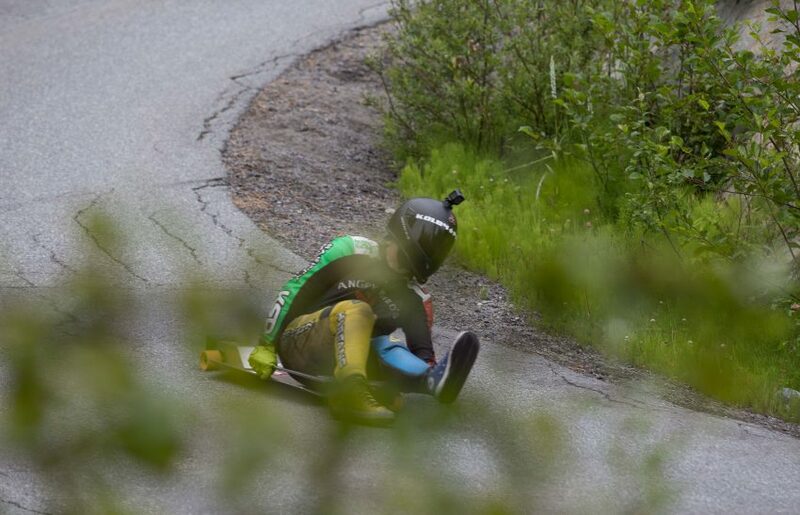 In Luge, Kolby Parks is looking for his first World Cup win. He leads qualifying with a 1:48.288. Emily Pross tops Women’s Class with a 1:50.244. The Junior class is competitive with a few riders that will be contending in the open class bracket as well. Edward Kiefer blitz to the top of the Junior leaderboard with a 1:47.760. That was also fast enough for 6th in the open bracket. Showdown at the loops winner, Knox Heslop, was .776 behind with a 1:48.536. In Masters Class, event organizer, Lee Cation, leads the pack with a 1:49.113. Victory will not be easy as he has to battle out veteran racers, Billy ‘Bone’ Meiners, Graham Buksa, and Sandman Charlton. After the conclusion of qualifying, a Top 10 Shootout was held. The top ten qualifiers got a single timed run to claim a prize. 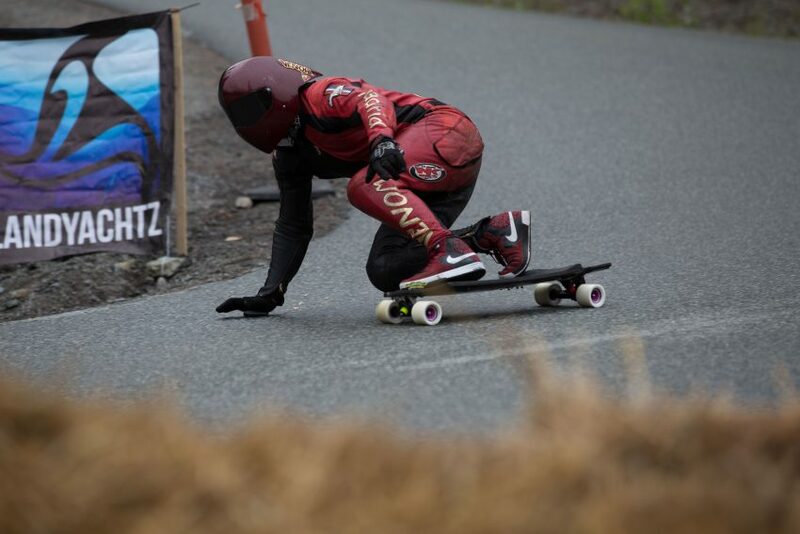 Ed Kiefer came in a close second with a 1:47.697 but Carlos Paixão came through 2 hundredths faster with a 1:47.676. Most of the racers packed up their gear but a few entered into a stand up race. With no hands/pucks allowed to touch the ground, rider raced it out to see who was the fastest. 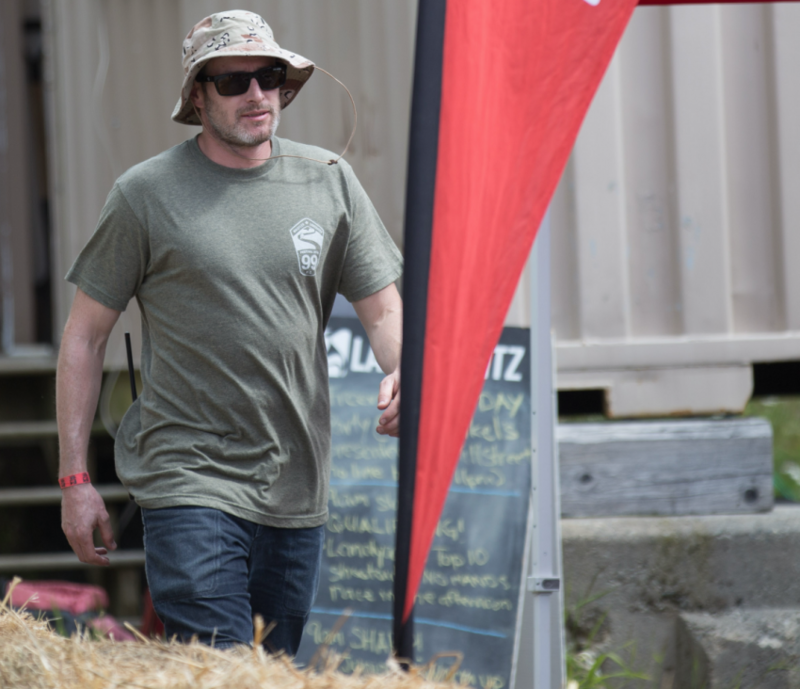 Zak Maytum took a surprising victory maintaining grip for the majority of the course. Stay tuned to the IDF (Facebook, Instagram) for updates. 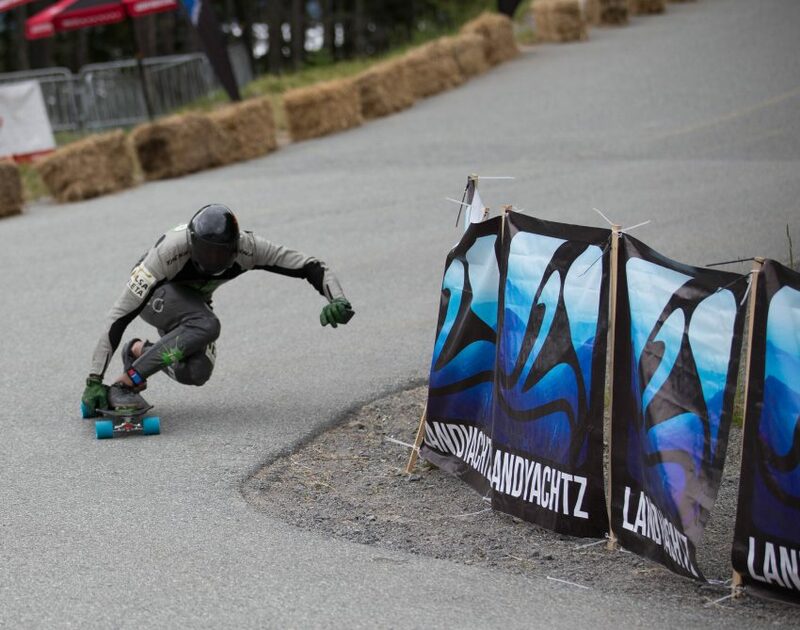 SkateHouseMedia resident, Sector 9 team manager, owner R.A.D.